If you want to recover your money this guide will take you through what you need to do. Your next steps will depend on how you were parted from your cash. More victims of bank transfer fraud will get reimbursed by their bank when a voluntary code is launched on 28 May 2019. Banks, building societies and other payment services providers who are signed up will have to put more measures in place to protect customers from bank transfer fraud. If you're a victim of bank transfer fraud and either the bank you sent money from or the bank which received the money has not lived up to these standards, you should be reimbursed after the scheme goes live. Until then, you should still complain to your bank and if you're unsuccessful, escalate it to the Financial Ombudsman Service which is already using the code to rule on cases. You can read more about what the scheme means for you and banks in our story about the code. If you've paid for goods or services with a credit or debit card, you have greater protection if things go wrong under section 75 of the Consumer Credit Act or by using chargeback. But whether you can make a claim or not depends on the type of scam you have fallen for. An example of a scam where you could use section 75 of the Consumer Credit Act or chargeback would be a scam where you paid for goods or services and it turns out these were either never available or the 'seller' has disappeared. Credit cards have the greatest protection, as you can make a claim against your card provider under section 75. Under section 75, the credit card company is jointly and severally liable for any breach of contract or misrepresentation by the company. For section 75 to apply the item or service you bought must have cost more than £100 and not more than £30,000. If you used a debit card, you may be able to ask your bank to get your money back through the chargeback scheme. It applies to all debit card transactions including goods costing less than £100, although exact rules may vary between the American Express, Maestro and Visa networks. But, there are no guarantees your bank will be able to recover the money through chargeback. Chargeback also applies to credit card transactions but will be particularly useful where goods cost less than £100 and so section 75 doesn’t apply. If you want to use chargeback to get your money back after a scam, this letter template could help. We have a specific guide about what to do if you've been the victim of a bank transfer scam. There are steps you should follow and key details you need to know. We also have a letter template to write a formal letter of complaint to your bank about a bank transfer (APP) scam. If the scammer has taken payment for an item through PayPal and then hasn’t sent, you should be covered by PayPal Buyer Protection. But there are some exceptions and time limits on lodging a claim. In some cases scammers set up convincing looking PayPal payment forms which actually just gather your bank details. In this case, you have no protection under the PayPal Buyer Protection Scheme. This is because PayPal aren’t part of the transaction; the scammer has just used their branding without their knowledge to make fraudulent activity look legitimate. Where a scammer pays through PayPal, takes delivery of the order, and then claims that they didn't receive it and makes a claim through PayPal Buyer Protection or section 75. If you’re caught by this scam you’ll probably want to make a claim under PayPal Seller Protection. But this has conditions and requirements - particularly around the delivery address that's used and the seller having proof of delivery. As long as you’ve met all of the criteria you should be protected. In some instances the scammer will be aware of these rules and will specify a different delivery address or collect in person. In this case you won't be covered by seller protection because you've not met the condition of posting the item to the account holder’s registered address. 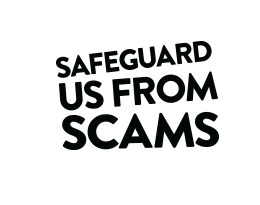 Unfortunately, you can't always get your money back if you've been scammed, especially if you've handed over cash or you’ve paid via a wire service such as MoneyGram, PayPoint or Western Union. All of these services provide advice on how to avoid fraud and scams, so it’s a good idea to read their advice to safeguard yourself against future scams of this kind. If there is a transaction on your card you know nothing about, then you can make a claim from your bank as an unauthorised transaction. If you hand over your card to have a particular amount debited from it, and then you find more money has been taken without your permission, or a sum has been taken by someone else, you can make a claim for this extra amount. The Payment Services Regulations 2009 and the Banking Conduct of Business rules place obligations on banks and building societies to provide a refund in these circumstances. Make sure you report the unauthorised transaction as soon as you become aware of it. If you respond to an email from fraudsters and send money, there is no mechanism to get the money back if it's a transaction you authorised. You should be particularly careful of responding to emails that state you stand to gain a large sum of money but need to send money to release the funds. If you choose to do so, there is nothing you can do to get the money back through your bank as this will be viewed as money you have willingly paid out. Read our guide on how to spot a scam. Being scammed can take a huge toll on your emotional wellbeing and mental health. It's often helpful to speak to someone about what you're going through. This can be anything from a one-off scam to something which entangles you for months, every scam has an impact on your life no matter its size.